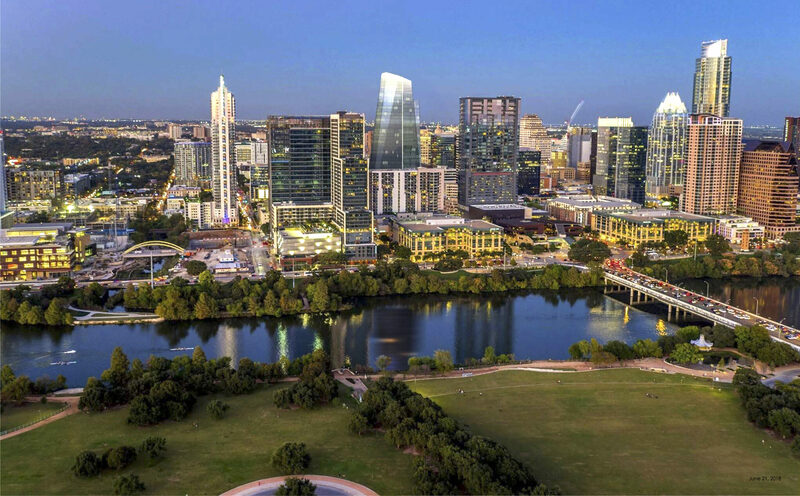 The Republic, a 37-story office tower project, is finally taking shape at the downtown Austin block bordered by West Third, San Antonio, West Fourth, and Guadalupe Streets. The 1.77-acre site, referred to in various filings and news items as either 401 West Fourth Street or 308 Guadalupe Street, is currently occupied by only a parking lot — and it’s one of the last remaining empty downtown blocks unencumbered by a Capitol View Corridor. Owned by Travis County and now leased to a joint venture of developers Lincoln Property Company and Phoenix Property Company, there’s been a good bit of intrigue regarding the future of this site, not to mention a laundry list of unrealized projects. 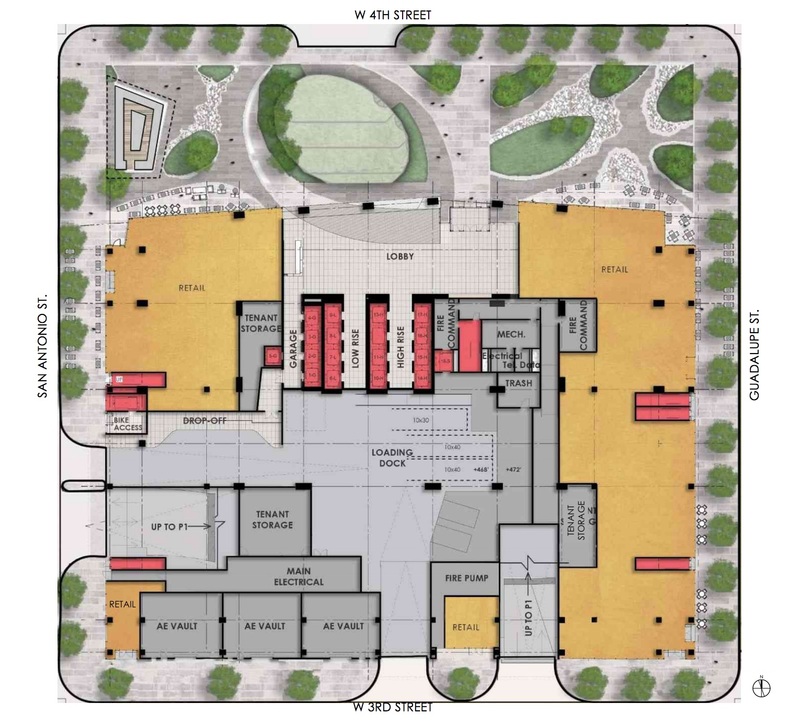 Republic Square Park’s renovation just north of the block has only amped up the speculation — would a potential tower development across the street do anything to compliment the park, like we saw in the unused designs by Gentler? 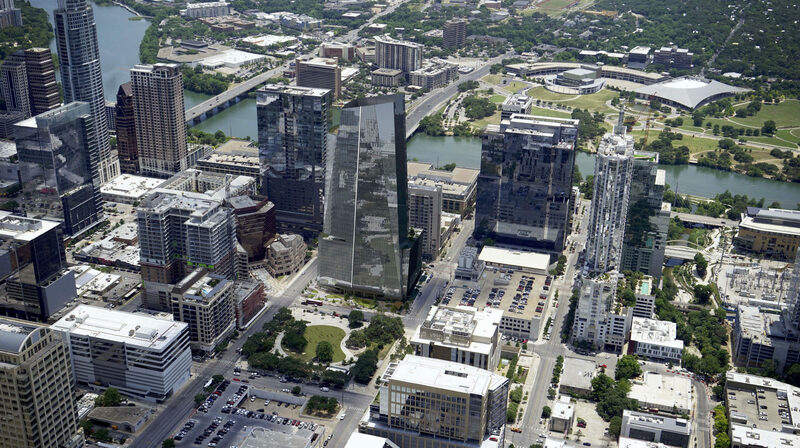 After all this mystery, it was nice to see a story back in May revealing our first glimpse of the proposed Republic project’s design by Duda/Paine Architects, best known around town as the folks behind the look of the Frost Bank Tower. 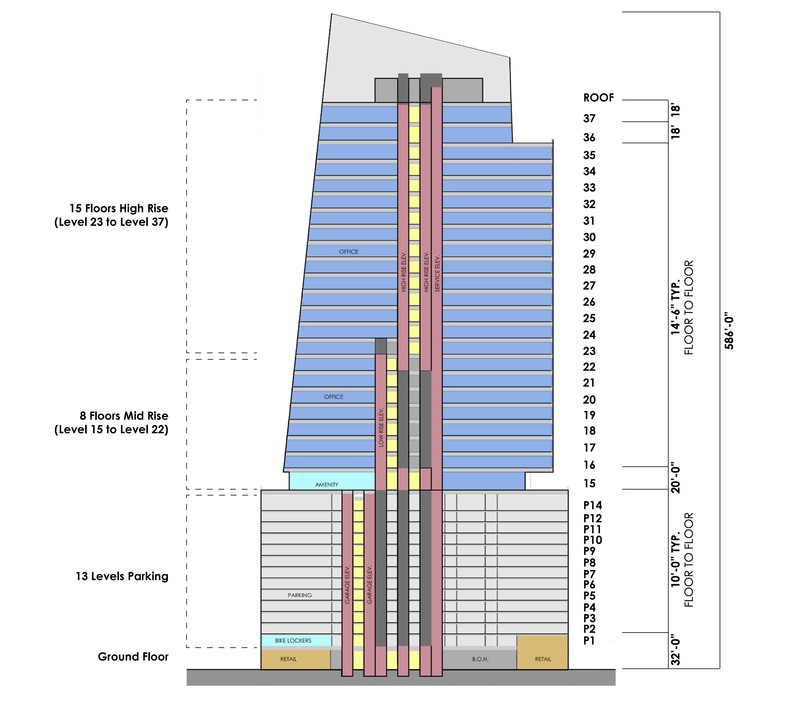 But new documents filed with the city as part of the building’s application to the Downtown Density Bonus Program give us a better look at the design of the tower than ever before — so let’s jump right in and see what we’re getting. I could just post renderings all day, but let’s take a second to run over all the details laid out in these documents. As we said earlier, it’s a 37-story building, but clocks in at 586 feet tall thanks to its large crown. That’s 44 feet higher than the Block 71 office project I see lots of similarities with, and 70 feet more than Duda/Paine’s previous Frost Bank Tower project. Despite some old rumors about potential residential units, the building as described here is completely comprised of office and retail space — 687,471 square feet and 19,423 square feet of each, respectively. There’s also 13 levels of parking, with 1,644 parking spaces in all. I’m slightly let down by the visibility of the building’s parking podium, especially when other upcoming tower projects around town manage to integrate this feature fairly well — but considering Duda/Paine’s other project on the way in Austin, I guess they might not be interested in hiding parking garages. This article was originally written and posted by Jude Galligan on Austin.Towers.net. You can read the full article here.